We love our surgery here at Southern Cross Vet. As a premier Double Bay Vet, with our state of the art equipment, it’s easy to see why. Here are just a few of the reasons why we love surgery here. 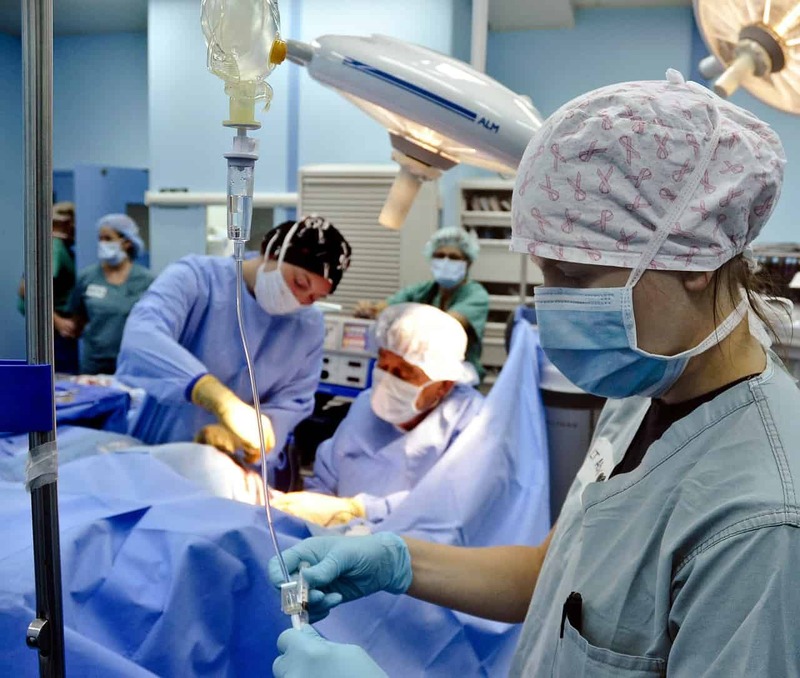 The team can perform a large range of surgeries in our theatre in the Eastern Suburbs. From laparoscopic desexing dogs and cats to life-changing spinal surgery, we have the capability to perform the surgeries right here that can be the difference between life and death. We have two theatres at our clinic in St Peters. One for sterile procedures (eg desexing) and one that handles non-sterile procedures (eg dental procedures). We like to keep anything with possible contamination out of our main theatre, to ensure that your pet remains as healthy as possible. Our operating table is height adjusted and our two overhead theatre lights can be fixed into just about every angle you can think of so that our surgeons can perform all procedures without any hindrance. All anaesthesia at Southern Cross Vet is carried out using our two modern anaesthetic monitoring machines. These are the same machines used for human anaesthesia and can be used to monitor a huge range of parameters which are necessary for us to make sure that your companion is as safe as can be during their procedure. The way we see thing is, the more we can monitor and measure, the safer any procedure is. One of the most exciting developments at Southern Cross Vet is the addition of our laparoscopy tower. As a Double Bay vet, this state-of-the-art equipment allows us to perform a variety of procedures which are less invasive and less traumatic for our patients. One of our absolute favourite procedures is our one-port laparoscopic desexing. To find out more about our pioneering laparoscopic desexings, please contact the practice. Sometimes the surgeries can be very challenging, but we don’t let that bother us at the clinic. We are lucky enough to have access to some of the best surgeons in Australia and can arrange specialised surgeries in our theatre so you don’t have to be referred to anywhere else. Your furry companions can stay in the environment that they are used to, and love! We don’t like bleeding during our surgeries, and with our modern surgical equipment, we aim to avoid just that. Our electrosurgery (also known as surgical diathermy) allows us to conduct procedures without a single drop of blood shed. Nothing like you see on the TV! At Southern Cross Vet, it’s easy to see how much we love our surgery. If your companion has to have any procedure at our clinic, you can trust that they are in safe hands.